This is the final installment of my translation of Wojtaszek’s commentary from the Polish “Mat” chess magazine. The first two sections can be found here: part one, part two. Inevitably, you start to adapt to your opponent’s game after a few rounds. I was observing him for 7-10 games. In the 10th game, I switched back to play faster and fought back… It seemed to have an effect on him. After three very interesting games in a row in game 10 we witnessed a long, but more static game. We decided to abandon the Slav and return to the Grunfeld Defence. Vishy got a good position after the opening, but after an inaccurate move ended up in a slightly worse ending. After a long, but steadfast defence he managed to draw the game. For game 11 we’d prepared an opening surprise! 1. c4 The English Opening! A completely surprise choice at a very tense moment in the match. Before the match we had, however, done a little work on the opening and decided that the character of the positions suited Vishy. 11. Ne4!? This isn’t a novelty, but Rb1 and Bb2 are much more popular. 11…Qe8! A strong reply, which we’d underestimated in our preparation. Black wants to put the queen on f7 before undertaking more active measures. 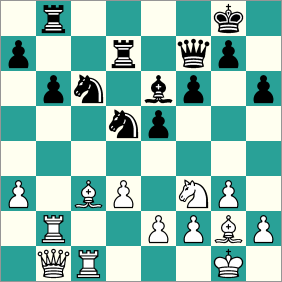 12…Bxc5 13. bxc5 Nd5 Unfortunately Topalov has calmly equalised after the opening. His position has no weaknesses and white’s black-squared bishop doesn’t have great prospects. Manoeuvring play follows, in which neither side has a clear plan. 14. Bb2 Rd8 15. Qc2 Nde7 16. Rab1 Ba2 17. Rbc1 Qf7 18. Bc3 Rd7 19. Qb2 Rb8 20. Rfd1 Be6 21. Rd2 h6 For a few moves now black has been standing still while white is slowly improving the placement of his pieces. 25. Bd2?! Strong was 25. Be1! with a slight edge for white. If black still plays 25…Rd6 then he has to deal with the strong 26. Nd2! 25…Rd6 26. Rbc2 Qd7 27. h4?! White, just like black, has a problem finding an appropriate plan. 27…Rd8 28. Qb5 Nde7 29. Qb2 Bd5 30. Bb4 Nxb4 31. axb4 Rc6 32. b5 Rxc2 33. Rxc2 Be6 34. d4 e4 35. Nd2 Qxd4 36. Nxe4?! An inaccuracy. After 36. Qxd4 Rxd4 37. Bxe4 the position would be about even. 36…Qxb2 37. Rxb2 Kf7 38. e3 g5! 39. hxg5 hxg5 40. f4 gxf4 41. exf4 Despite the even and very limited material, black has an edge in this position. The difference is, above all, activity – black’s pieces are very centralized, while white has problems with the coordination of his pieces. 41…Rd4! Watching the game transmission the whole team was nervously following the way the game was going. With the prospect of black in the final game a loss would have reduced Anand’s chances to a minimum. 42. Kf2 Nf5 43. Bf3 Bd5 44. Nd2 Bxf3 45. Nxf3 Ra4 46. g4 Nd6 There were more chances after 46…Ne7!? 47. Kg3 Ne4+ 48. Kh4 Nd6 49. Rd2!? A very interesting, and more importantly, correct decision! Perhaps objectively it’s not the best move, but with emotions running so high the attack on the black king turned out to be a good solution. After 49. 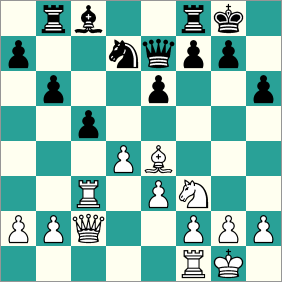 Kg3 Topalov would no doubt have tried 49…Ra3. 49…Nxb5 50. f5 Re4?! Topalov could have maintained his advantage with 50…Rf4! 62. Rxc5 A much more attractive finish was 62. Ne6+!? Nxe6 63. Rc7+! Nxc7 After all you don’t often get stalemate in World Championship matches! All that remained until the end of the match was a free day and the final game. Of course, the possibility of tiebreaks now came into play. Topalov, with the white pieces, was in a better position before game 12 as no-one had won with black in the previous 11 games. But it’s good that the sequence was finally ended! What were the thoughts of the team before the final game? Above all, we wanted to pick some sort of “healthy” opening. Right at the very start the choice fell on the Queen’s Gambit. It’s hard to find a more solid but also very natural variation. It’s no accident that the opening has been tested many times in World Championship matches. Of course we were conscious that such a choice meant that the most likely result was a draw, which would mean tiebreaks, but that didn’t trouble us. In hindsight it must be said that the atmosphere was exceptionally calm. I’d always thought that before the final game nerves would dominate. However, things were completely normal. Preparation, checking on unclear positions, lunch, the next session checking lines, the traditional “good luck” and leaving for the playing hall. All that remained for the team members was to drink another coffee, switch on the broadcast and wait for events to unfold. 1. d4 d5 2. c4 e6 3. Nf3 Nf6 4. 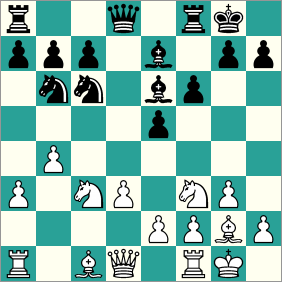 Nc3 Be7 I don’t think the Queen’s Gambit was a great surprise for Topalov. No doubt before the match he’d taken it into account in his preparations. 5. Bg5 h6 6. 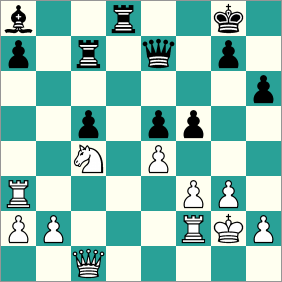 Bh4 0-0 7. e3 Ne4 The Lasker Variation. 8. Bxe7 Qxe7 9. Rc1 c6 10. Be2 10. Bd3 Nxc3 11. Rxc3 dxc4 12. Bxc4 Nd7 would lead to the position in the game. 10…Nxc3 11. Rxc3 dxc4 12. Bxc4 Nd7 13. 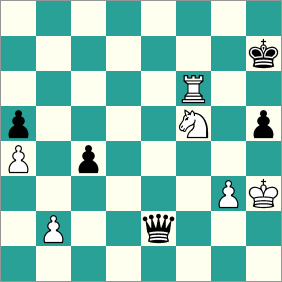 0-0 b6 13…e5 is also a common move. 16…Nf6!? A move that up until this point had only been played by the Polish grandmaster Mirosław Grabarczyk. Black’s position is very solid and white has to play very accurately in order to fight for an advantage. Topalov lacked that precision. 17. dxc5?! A bad reaction straight away. Only 17. Bc6! gave white a chance of fighting for an advantage. 17…Nxe4 18. Qxe4 bxc5 19. Qc2 Up until this point only b3 had been played, but black had no problem equalising: 19. b3 Bb7 20. Qf4 Bxf3 21. 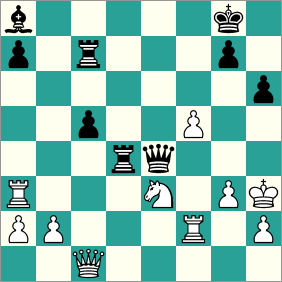 Qxf3 Rfd8=, K. Kulaots – M. Grabarczyk, Borup 2008. 19…Bb7! 20. Nd2 20. Rxc5? Bxf3 21. gxf3 Rxb2! 20…Rfd8 21. f3 Ba6 For the moment everything’s going according to plan. Vishy has calmly equalized and has a time advantage, so it was possible to be optimistic while observing the rest of the game. 22. Rf2?! Topalov begins to play a little riskily. Better was the calm 22. Rc1, though after 22…Qd7! black doesn’t have any problems. 26. Ra3?! Bb7 27. Nb3 Rc7 28. Na5 Ba8 29. Nc4 e5 After the interesting 29…g5?! 30. e4 g4 31. Qxh6 gxf3+ 32. Kxf3 Rd4 33. Nd2 a very unclear position would arise. Therefore e5 seems to be a better move. 31. exf5? The Bulgarian takes a huge risk and, in his style, sharpens the position. This time it was clearly a bad decision. It seems that at this stage of the match nervous tension was affecting the play and Topalov simply didn’t withstand the pressure. After 31. Nd2 fxe4 32. Nxe4 Bxe4 33. fxe4 Rd4 the game would almost certainly have ended with the point shared. 31…e4 32. fxe4? And this already loses! Black still has to play a number of accurate moves. As Topalov admitted in the post-match press conference, he really wanted to avoid tiebreaks and tried to win the final game at all costs. He took a risk, which this time didn’t pay off. The only move was 32. Re3 exf3+ 33. Kg1 Qg5, although black already has a huge advantage. 32…Qxe4+ In the meantime telephones had rung and none of Anand’s seconds were sleeping any more. 33. Kh3 Rd4! 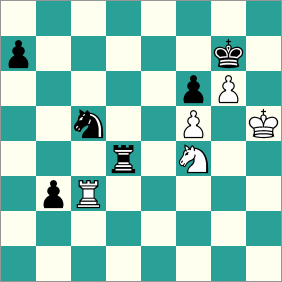 Curiously, although the computers suggest that black’s position is completely won, it isn’t so simple in practice. 34…Qe8!! A very strong move, which probably escaped Topalov’s attention. 35. g4 h5! Once more Vishy makes the strongest move in the position. 36. Kh4 g5+! 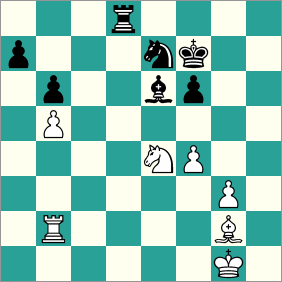 How easy it was to blunder is shown by the fact that as natural a move as 36…hxg4?? lets the advantage slip after the normal 37. Nxg4 and the position is completely, not won, but unclear! 37. fxg6 Qxg6 38. Qf1 Rxg4+ 39. Kh3 Re7 40. Rf8+ Kg7 This move caused a little commotion. Initially the computer programs show that black has let his advantage slip! But fortunately it soon turned out that Anand had calculated everything to the end. We slowly began to realize that the match was soon going to end. And precisely as we’d hoped! 50…Kg8! There are many ways for black to win, but this move, resembling zugzwang, seems to be the most attractive. Our joy after the match was enormous. We stayed in Sofia for a few days, during which we had a chance to relax and do some sightseeing around that very pretty city. It was certainly a very exciting match, in which the situation changed quite often. It’s also impossible to complain about the level of play, which was much better than in many other World Championship matches. 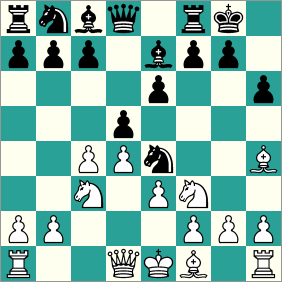 Both players committed blunders, but they also made a lot of moves of the very highest class. 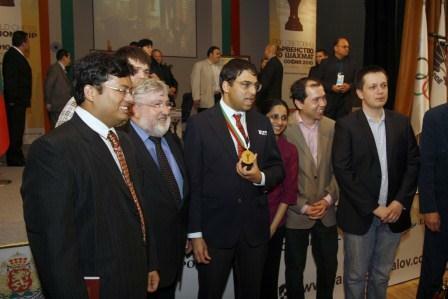 Topalov proved that he’s capable of playing very good games, but it seems to me that Anand deserved to win. He showed great mental strength and kept a cool head at the decisive moments. I don’t think anyone doubts that the Indian is still the best chess player in the world! The next match to defend the title will probably take place in 2012 in London, with the opponent being selected in the Candidates Matches which should take place sometime soon. Once again, thank you mishanp for the wonderful translation of this article which otherwise would have been missed. Outstanding web site! I hope Wojtaszek stays as Anand’s second for the next match. He seems a great asset. lol that video is so funny.. did u see when the big guy hugs Topalov and they’re all smiling that Anand’s sorta looking vaguely at them half-smiling.. then the guy is like still touching him and patting him on the back and Anand like lightly claps his hands (like a golf clap) still half-smiling … as if to say like, “yo dude.. im over here.. I WON.. okk yes hug him.. very nice… second place.. not like that wasn’t guaranteed from the beginning but ok… i’ll clap .. jolly good show”.